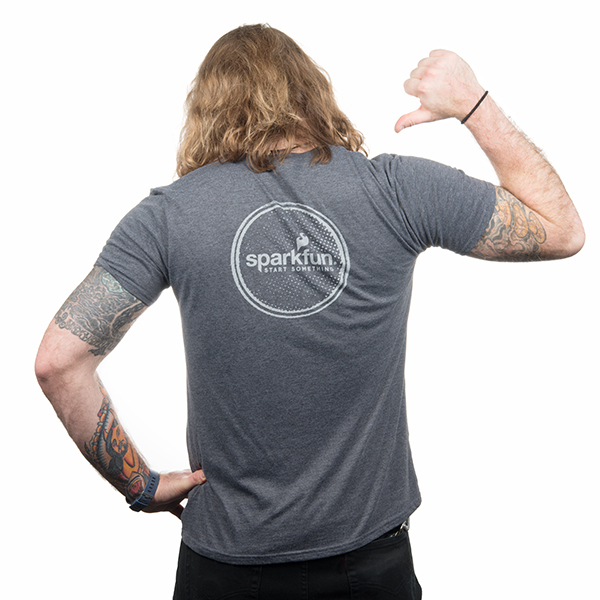 Our new limited edition tee is here to celebrate a certain fantasy show's finale! 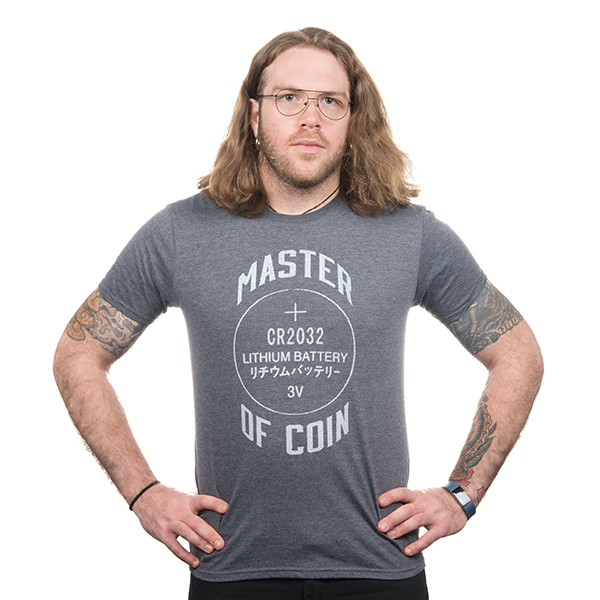 This XXL-sized, gray shirt has been perfectly designed to keep all those around you guessing at what game you are playing with the positive side of the classic coin cell battery that we carry in our catalog. 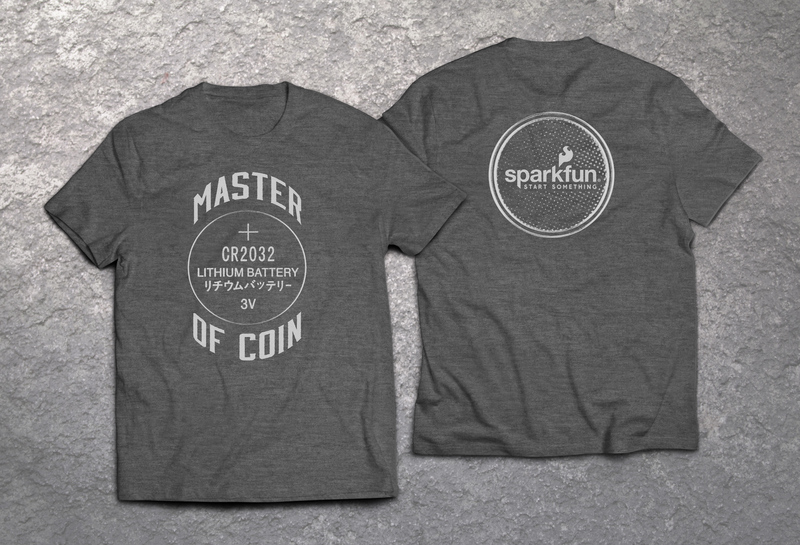 The back of this fitted, men's cut, t-shirt also has our SparkFun emblem on the negative side of the CR2032.